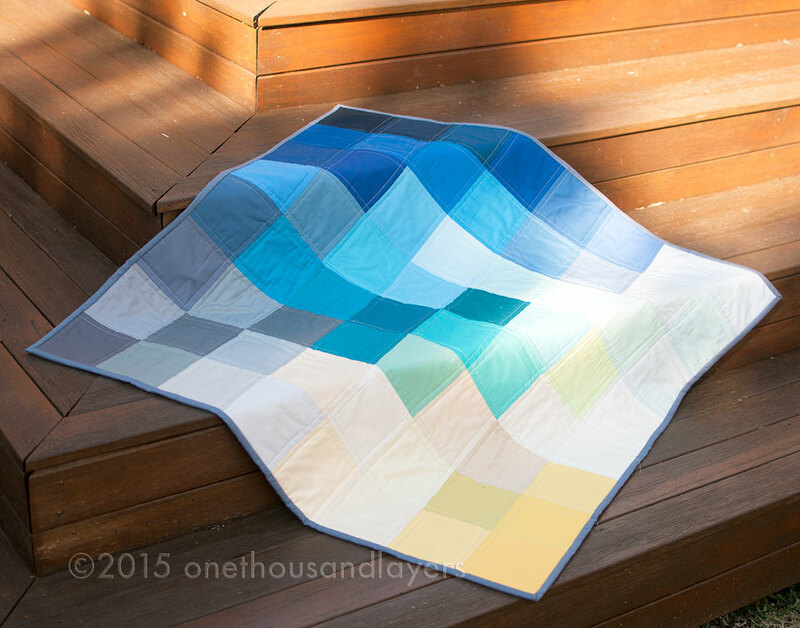 There’s probably not 50 shades of blue in this quilt…but it would come close. I decided to cut 5″ squares, each a different Kona colour, and piece them together. I always get bored with the cutting side of things…but I managed to get it all done while my girl had her daytime nap one day. Then, it seriously only took me another 2 hours in an afternoon to piece it all together. The quickest quilt top I’ve ever made! I love the simple black and white text back. I have always wanted to use the infamous Ikea Britten Nummer fabric to back a quilt, and figured it would be perfect for this quilt. I just love the simplicity of it, and I really didn’t want to piece a back together (feeling so lazy right now!). 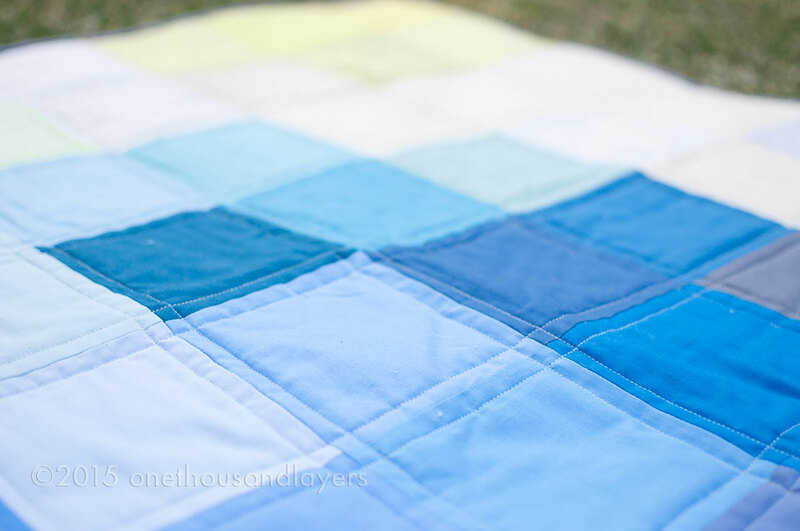 When it came to quilting I knew I wanted a pale blue thread. 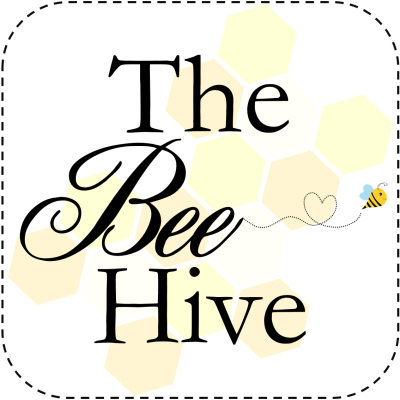 I ended up choosing Aurifil (of course) shade 2846 in 40wt. The simple grid work quilting was another easy choice and one that I am really happy with. 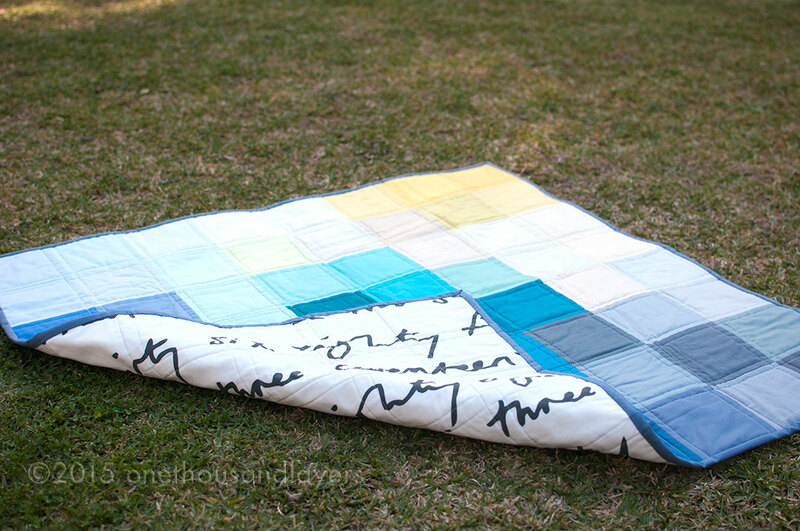 I love how it emphasises the grid work style of this little quilt. 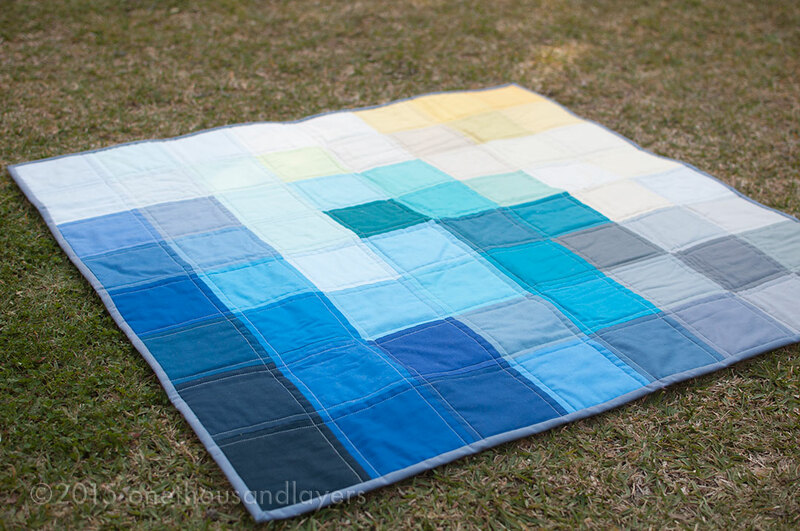 The hardest part of making this quilt was choosing the binding colour…white, pale blues and many shades of greys were all considered. I’m really happy with the Kona Slate that I chose. I think it frames the quilt well, and given this quilt could potentially be dragged around by a toddler one day, then I think the grey was a good option! The quilt is still in transit as of a few hours ago, but I have no fears that this quilt is going to be loved by both mum and bub. Now onto a girl version!!! 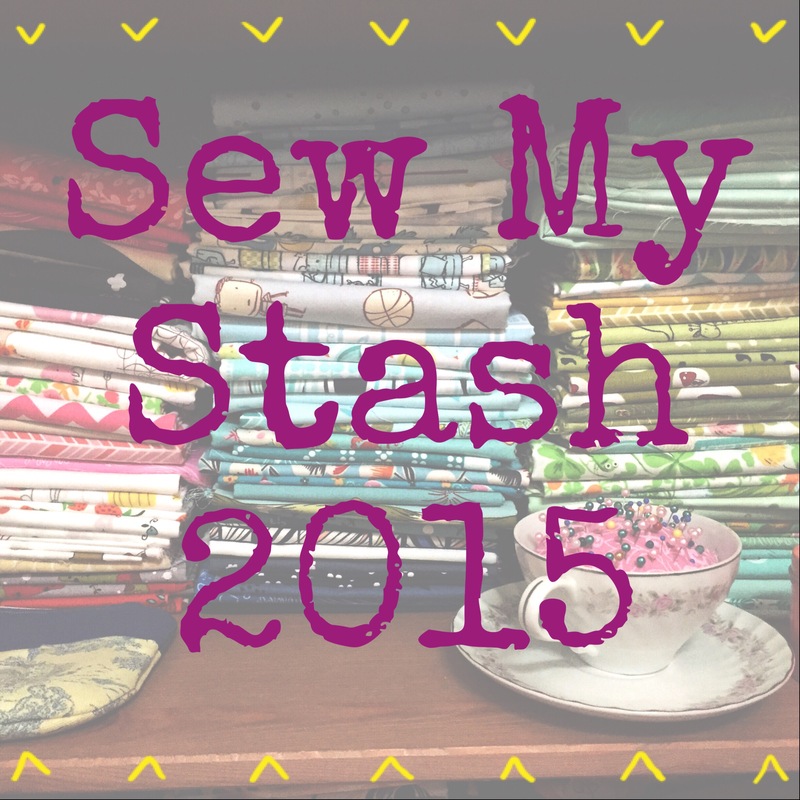 Favourite Part(s): Collecting all the Kona fabric, chain piecing and quilting. Gorgeous Tash! Love the colours.